Bohemian Talmudist; died 1787 at Prague. 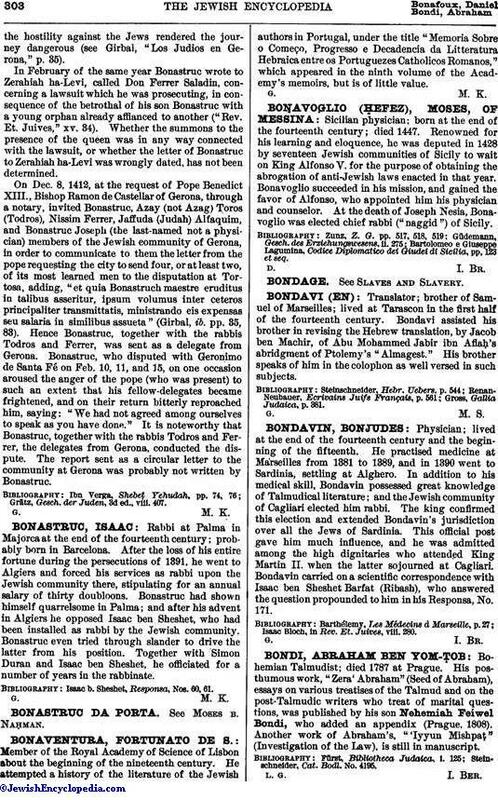 His posthumous work, "Zera' Abraham" (Seed of Abraham), essays on various treatises of the Talmud and on the post-Talmudic writers who treat of marital questions, was published by his son Nehemiah Feiwel Bondi, who added an appendix (Prague, 1808). Another work of Abraham's, "'Iyyun Mishpaṭ." (Investigation of the Law), is still in manuscript. Steinschneider, Cat. Bodl. No. 4195.